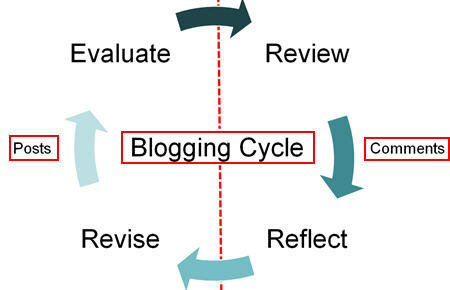 We’ve designed a series of nine steps, with how-to info, to help you with your class blogging.. 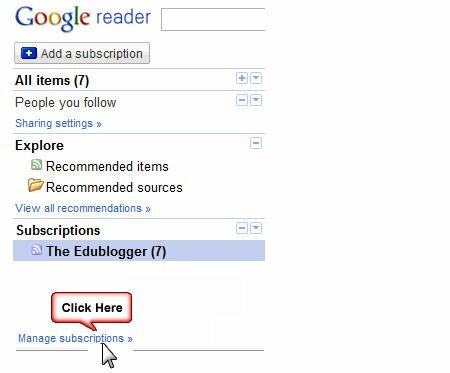 This step is to add your student blogs to a folder in Google Reader to make it easier to read their posts. Why Make it Easier to Read Posts? Visiting each individual blog to check for new posts is time consuming. 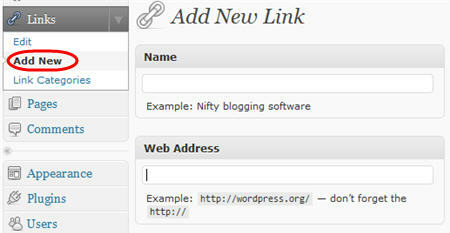 The better way is to bring the latest posts to you using their RSS feed. RSS (stands for “Really Simple Syndication) works by retrieving the latest content from blogs and sites you are interested in and bringing them to one location where you can easily read it. Sites with RSS feeds are normally indicated with the word RSS and/or the orange RSS icon. Please note – Blogs on all standard blogging platforms automatically include RSS feed and won’t necessarily use words or an icon to indicate the presence of the RSS feed. Ultimately it’s personal preference whether you use a Personalized homepage or Google Reader. With personalized homepages you can add a range of different widgets, besides RSS feeds from student blogs, to really customize the page with helpful content for your students. However, reading posts on a personalized homepage isn’t as easily as reading them via a shared Google Reader folder. 3. The number of unread posts is shown in bold next to the name of the folder. 4. Now just scroll down through the posts in the folder to read their posts. 5. As you scroll the posts will automatically be marked as read and the number of unread posts listed next to the folder will decrease. 6. To visit a post to add a comment just click on the post’s title. 4. Click on view public page to check out your public page. For example, here’s my public page from this demo. 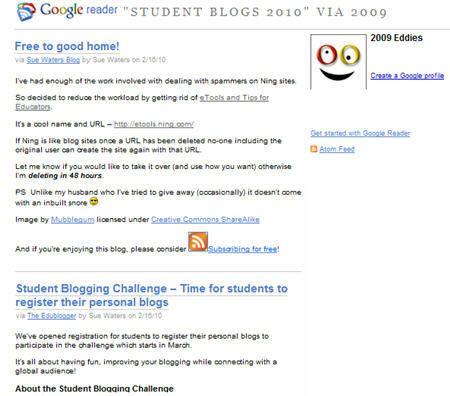 Provided your Links widget is in your blog sidebar this link to your Google Reader public page will appear in your sidebar —and students just need to click on this link to read the latest posts. For more how-to info on blog rolls read this post! 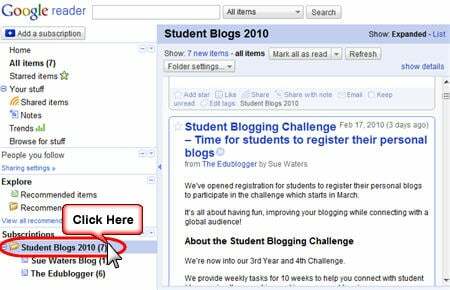 Pingback: Join The Student Blogging Challenge Now – Starts Mid September! Applied this extension to google chrome and saved a bunch of time…no typing in urls for subsciptions. Went to list of blogs, right click open new tab, then went across tabs and click subscribe! Another terrific and useful post – thank you! I’ve set up my numerous student blogs and comments to be read by my Google Reader, but had not thought of the idea of sharing the posts and comment folders with my students. I would just announce to the class that some of them received comments, but now they can view directly at anytime. This is also encouraging students to reach out more to other bloggers as they begin to see the connection between the comments and positive digital footprints they are making on other blogs with new visitors and comments they are receiving on their posts. @Mr. Miller, Hi John, glad those instructions helped. 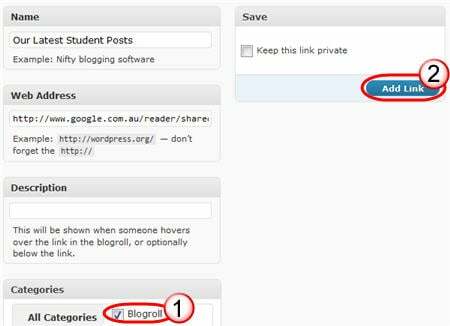 The other way is you can take the RSS feed from your shared public page feed it into a RSS widget and embed that in a page on your blog. Down side is some of the widgets can play up but when they work it is good as you have it all in one place. We ran into difficulty when adding student blogs that contained no posts yet. They didn’t get added, even when we went back and put up a dummy post after the fact. Should that have happened? Thanks. @boxplayer, As long as the original Hello World post is still there, they should load into the reader OK. But if students delete that post rather than editing it for their first post, then no, the link won’t work properly.I found that out the hard way. Same if making comment feeds with URL /comments/feed – they need to keep the original Mr Edublogs comment until they have at least one other comment on the blog. Thanks for the reply. We had already edited and retitled “Hello World” with a list of directions for doing the blog posts, and we put up a dummy post for every blog that didn’t have one yet. But Google Reader has brought in a deleted dummy post from one student blog that brings up an error message when we attempt to read it from the feed, and it doesn’t seem to be updating other blogs quickly or at all. Do you know if there is any way to control how often Google Reader checks for new posts? Again, thank you. There’s a lot of tricky, unclear stuff to figure out! @boxplayer, Google Reader had probably uploaded your dummy post, then you deleted it, now when you click on the link in GR it can’t find it cause you have deleted it. I often find GR only uploads new posts every hour or so but that is enough for me as I check them generally after school or in my time off, not in the lesson they were written. Yes and I can totally understand that. Students of younger grades like their parents seeing the great stuff they are doing while older students are less likely to want this. Laughing at what I might do if my mother ever commented on one of my posts? Thanks for your input. I also have tried to enter the students urls and in some cases, there are repeats and I do not know how to edit them out. I would appreciate your help. I am not able to add my students parents to any of these pages because all of my students are adults and do not wish to have their parents added to any blog they might be using.